treesensor.com is a new scientific application that uses the latest technology and dynamic assessment methods to accurately measure the movement of structural tree root zones. treesensor.com has been designed for use by anybody working with trees in forestry and urban environments. This website provides the tools to produce accurate and cost effective reports on tree structural root zone stability. 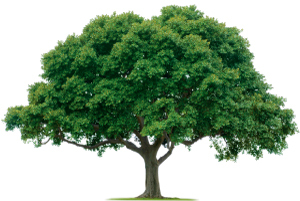 By using treesensor.com, tree managers can eliminate time consuming manual data processing and prevent the misinterpretation of data through human error. This technology was researched and developed because the structural root zone is one of the most critical failure points of a tree. Assessment of this area can be subjective, misinterpreted and previously there was no accurate way to measure and assess the stability of a tree structural root zone. Structural root zone movement cannot be accurately assessed with currently applied technology such as Sonic Tomography, Infrared cameras, Resistograph drills, Electronic Impedance or RADAR. The method used to assess dynamic tree structural root zone movement has been developed by ENSPEC Pty Ltd. ENSPEC is an Australian company that specialises in arboricultural, environmental and ecological research and consultancy. The method was defined through two years of continuous monitoring of structural root zone tilt. The dataset collected by ENSPEC includes tilt data for many tree species in varying topographies responding to natural wind conditions. Dynamic assessment methodology is already being used across the world, but until now analysing the tilt data has been a lengthy and labour-intensive process. treesensor.com processes and analyses the recorded tilt data and generates a detailed report in a few minutes. The PiCUS Tree Motion Sensor has been specifically developed by Argus Electronics using the extensive structural root zone tilt and tree stability research completed by ENSPEC. The treesensor.com method of assessment is designed to complement other systems of tree evaluation. The active research program at ENSPEC that developed the dynamic methods of tree assessment used in the treesensor.com technology is headed by Dr. Ken James. The database behind treesensor.com is continually updated and expanded as new data is collected and benchmarked.